This shot won’t win any awards for technical accuracy, but considering I shot it one handed through the bug splattered wind shield of a moving car, I’m happy I got them both in the frame. This little fawn has to be the smallest I’ve seen personally. 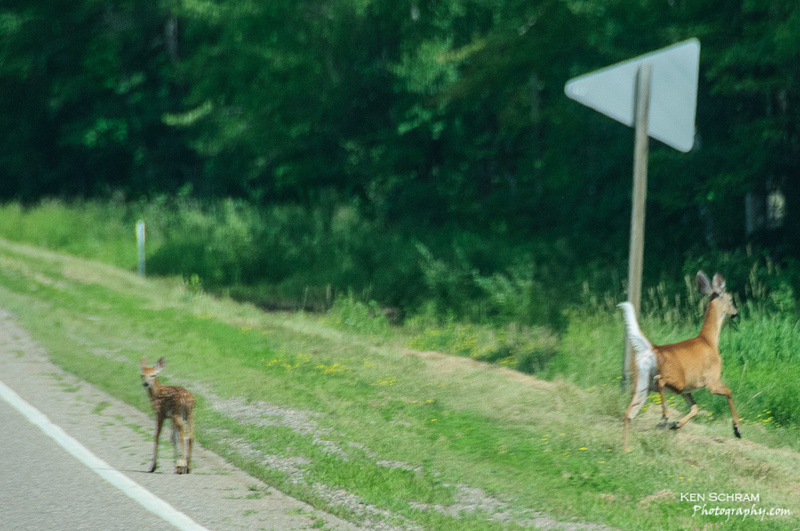 When I first spotted them walking along the road, the fawn was literally walking underneath mom. Pretty cool.